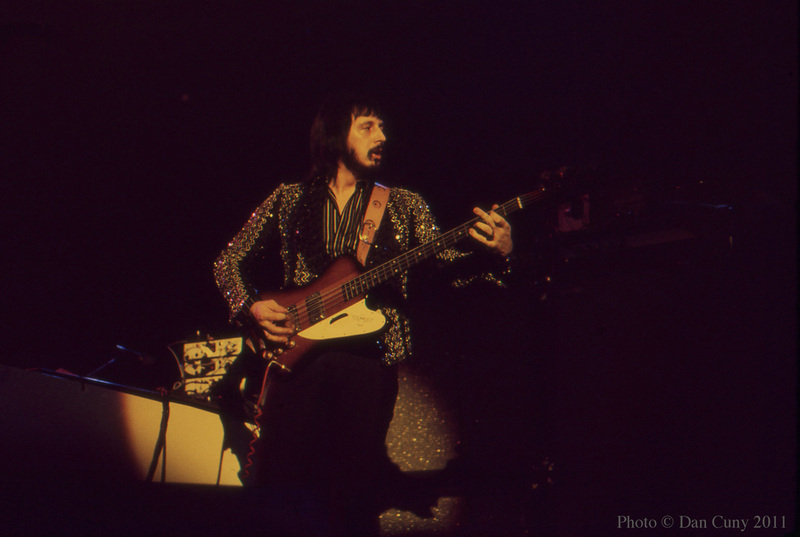 John Entwistle was born in 1944, in Chiswick, London. As a child, he learned to play trumpet, french horn, and piano, and was a member of the Middlesex Youth Orchestra. 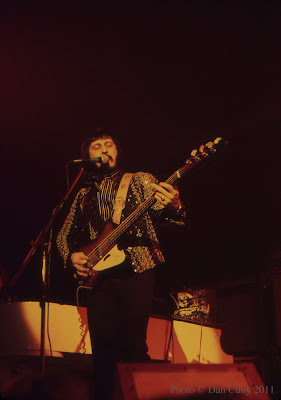 He later took up the bass guitar, and during his teen years he played in two bands, The Confederates and The Scorpions, with Pete Townshend. 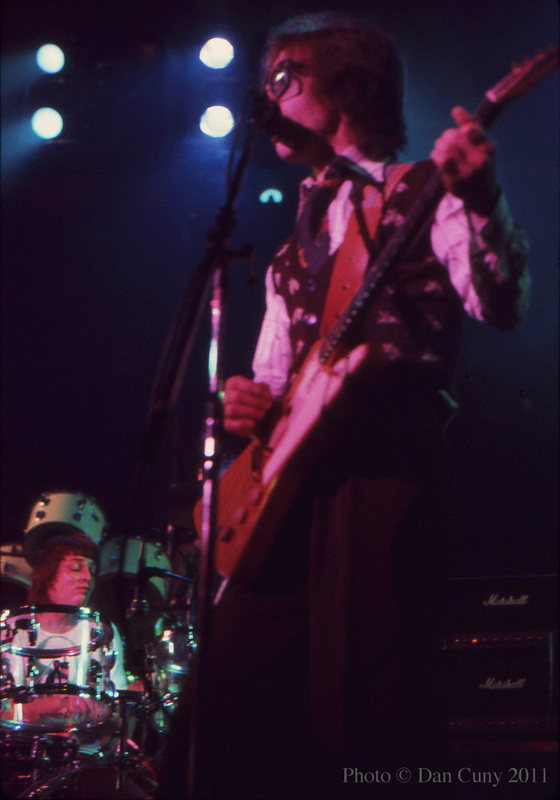 In the early 1960s, John and Pete joined with Roger Daltrey in The Detours. 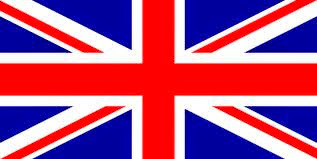 In 1964, the Detours became The Who, and Keith Moon joined as drummer. Shortly after, The Who fitted themselves to mod style and became known as The High Numbers. They released their first single as The High Numbers, "I'm the Face," on Fontana Records in 1964, and then became The Who again. 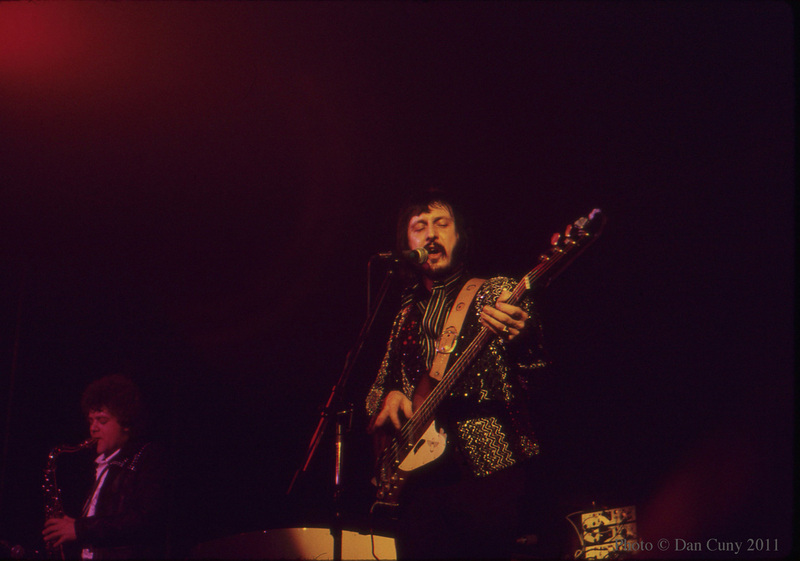 The Who, with the sterling musicianship and unassuming personality of John Entwistle always providing a steady foundation, went on to become one of the preeminent bands of the 1960s and 1970s. The unbeatable lineup of Daltrey (lead vocals, harmonica), Townshend (guitar, keyboards, synthesizer, vocals), Entwistle (bass, brass, vocals) and Moon (drums, vocals, general mayhem) recorded a string of peerless albums (My Generation, A Quick One, The Who Sell Out, Tommy, Live at Leeds, Who's Next, Quadrophenia, The Who by Numbers, Who Are You) between 1965 and 1978, and appeared before frenzied audiences at top venues around the world, becoming particularly known for the vehement power and unfailing excitement of their performances. 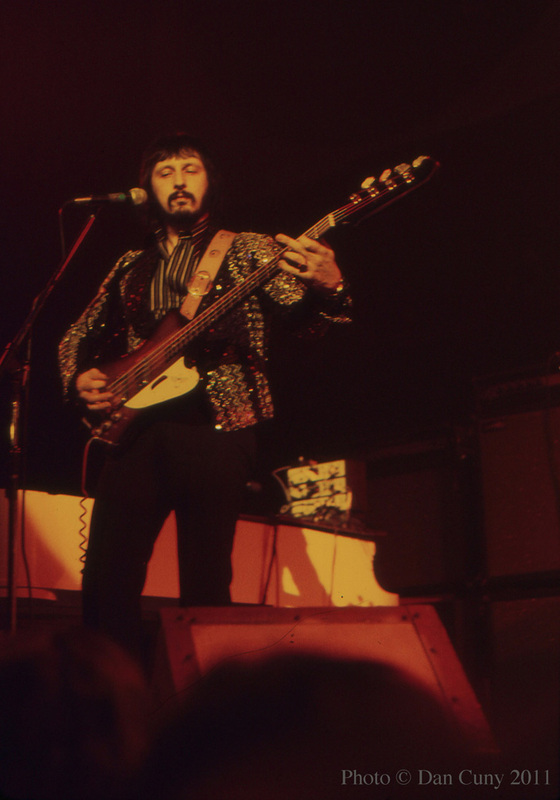 John Entwistle had a major part in creating the thunderous sound of The Who from the beginning, and his distinctive bass was a strong feature on one of their first and most famous hits, "My Generation," released in 1965. He also wrote and sang his own songs on albums by The Who, starting with "Boris the Spider" and Whiskey Man" on A Quick One in 1966. 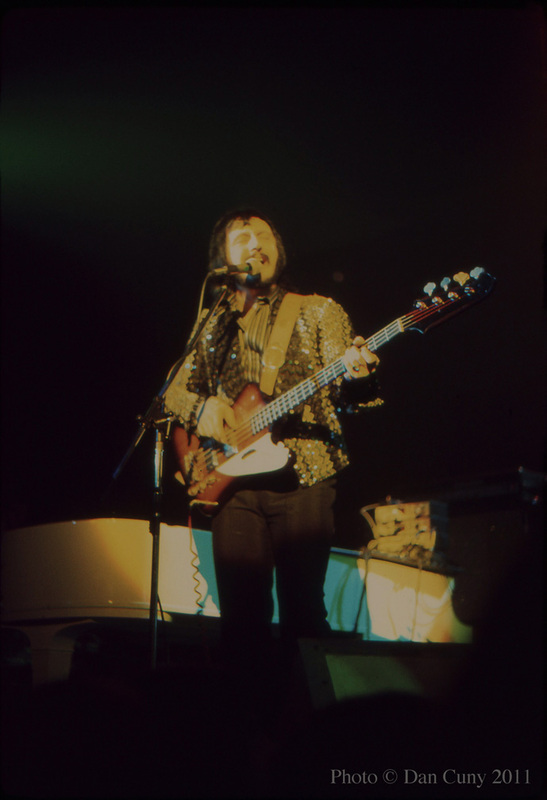 Over the following years, his songs with The Who included "Silas Stingy" (The Who Sell Out, 1967), "Cousin Kevin" and "Fiddle About" (Tommy, 1969), "My Wife" (Who's Next, 1971), "Success Story" (The Who by Numbers, 1975), and "Had Enough" and "Trick of the Light" (Who Are You, 1978). In 1971, John Entwistle released Smash Your Head Against the Wall, his first album (on Track Records, with help from Keith Moon, Jerry Shirley of Humble Pie, and Viv Stanshall and Neil Innes of The Bonzo Dog Band) under his own name. It contained a collection of sly and mordant songs, including "My Size," "Heaven and Hell," "You're Mine," and "I Believe in Everything," that showcased both his musical prowess and his dark humor. Smash Your Head Against the Wall was followed by Whistle Rhymes (1972) and Rigor Mortis Sets In (1973). In the meantime, he continued to carry out his duties as stalwart bassist with The Who. When John Entwistle performed with his own band, John Entwistle's Ox (Robert Johnson on guitar, Mike Deacon on keyboards, Jeff Daly on saxophone, and Graham Deakin on drums), at Winterland in February, 1975, he was promoting the release of his fourth album, Mad Dog. 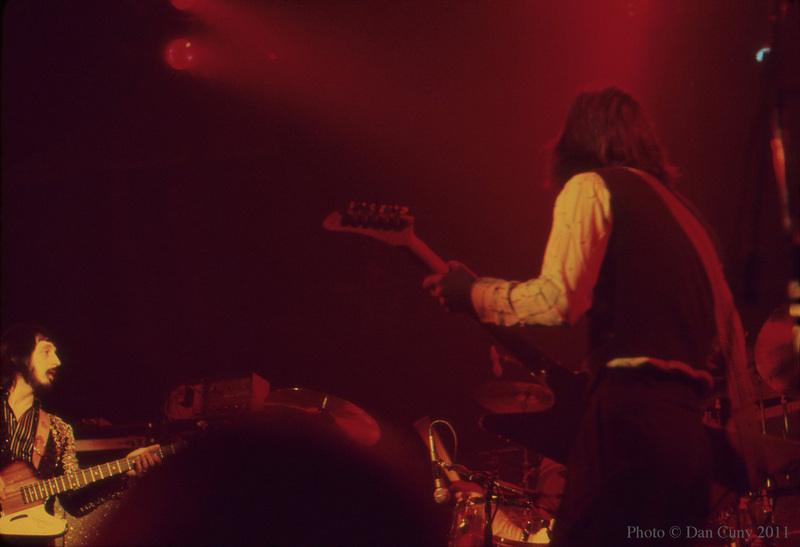 His performance offered a rare opportunity to see a true legend of rock'n'roll at fairly close range, playing in a venue that was considerably smaller than the big arenas and enormous stadiums in which The Who usually appeared. We didn't arrive early enough to be at the very front of the stage, as we had in the past, but Dan did, and he got some nice close ups with his camera. His photos captured the performance very well. I remember that when we saw them setting up the equipment for Ox, one of the roadies was a dead ringer for Pete Townshend! 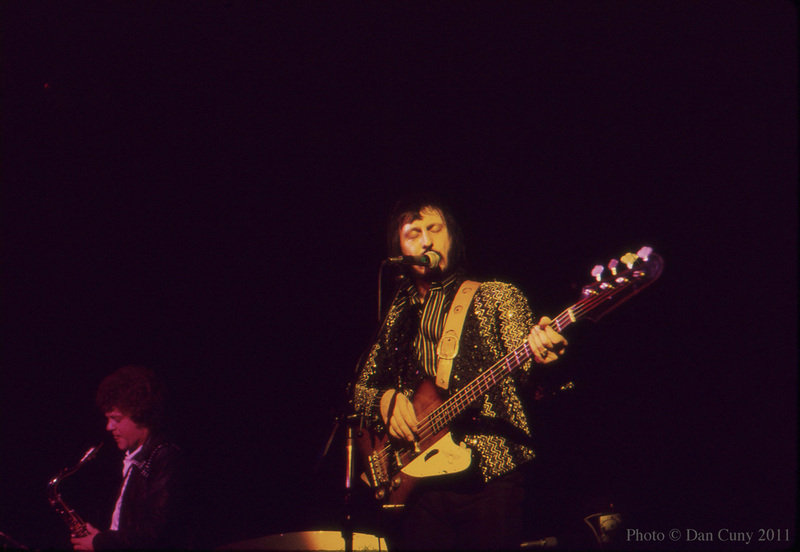 Gary and I looked at each other in amazement, and couldn't help but think that Pete Townshend was going to join John Entwistle on stage. This was not to be, however, and it was just a weird coincidence. John Entwistle put on a great show. He did several of his best known songs from The Who, "Boris the Spider" and "My Wife." He also did some favorites from his solo albums ("Heaven and Hell, "Gimme That Rock'n'Roll," "Cell Number 7"), and a rock standard ("Not Fade Away"). I was not familiar with his band, but they were very competent. 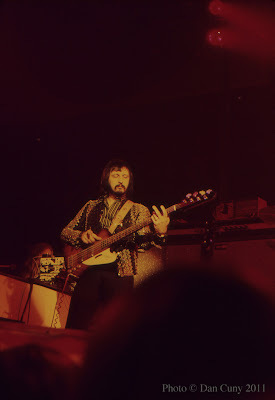 Overall, it was a great performance, and I was glad to see John Entwistle's Ox. After the performance, we waited outside and were able to meet John Entwistle. He was very composed and politely signed his autograph on our little paper pads. Once that was done, he looked up at our gazing faces and asked, "Is there was anything else?" No one had any further questions or comments, so he shrugged his shoulders and walked away. Gary: John Entwistle was an amazing musician. The Who were arguably the greatest of all rock bands, and with Roger Daltrey, Pete Townshend, and Keith Moon all having manic, powerful stage presences, John Entwistle in his matter-of-fact silent way was the Rock of Gibraltar that anchored them. I was (and still am) a big Who fan. 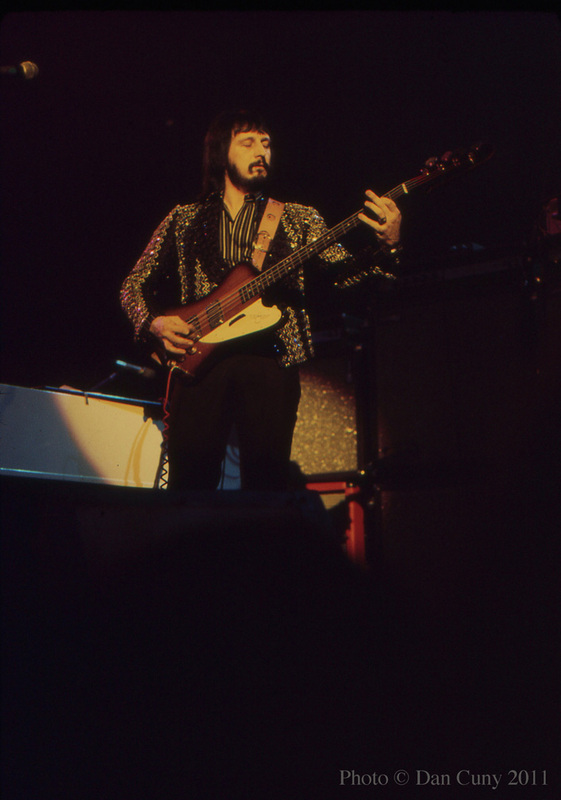 One of John Entwistle's songs with The Who was "The Quiet One," which included the lyrics, "It only takes two words to blow you away." 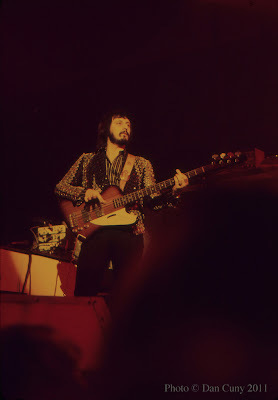 He had that kind of power: he didn't move much, but his hands on the bass were a blur of intricate patterns and strong rhythms that provided a lot of the real thrust behind The Who's music. He was a superior musician, and even being quiet, he provided songs that were outgoing, funny, and ironic. "Boris the Spider" (with his incredible low baritone voice) and "My Wife" were very funny songs. His French horn work, which added great variety to Who records, also deserves credit. On Tommy and Quadrophenia his musical input was essential to the overall sound. I suspect that his hand was strong on the arrangements of those two masterpieces. I'm sure that Pete Townshend valued him as a fellow composer and musical expert, as well as a friend. 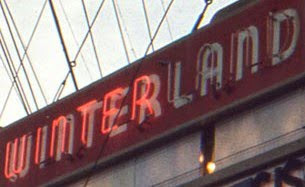 Oddly, I can't remember too much about the performance at Winterland. Maybe the music was not that memorable because I was unfamiliar with his new record. The music was competent and interesting that night, but not spectacular. It was more a group of musicians performing in a solid, workmanlike manner. It was good to see them, and to meet them outside Winterland after the show. Dan: I can remember going to this show mainly to see John Entwistle. I had all of his previous albums (Smash Your Head Against the Wall, Whistle Rhymes, Rigor Mortis Sets In), and I liked his music. Mad Dog, his fourth album, had just been released, and while I thought it wasn't his best album, I was looking forward to seeing him perform live. In my opinion, he was one of the top two or three bass players in rock'n'roll, and having the opportunity to see him was very exciting. 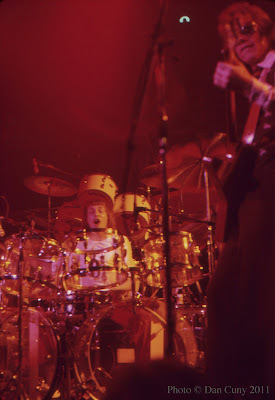 At this time I hadn't seen The Who, but I did get to see them with Keith Moon at the Oakland Coliseum in 1976. John came out on stage, larger than life. A very big and tall man who didn't do a lot of jumping around, but his set was solid and the band was tight. He opened with "My Wife," and then went into "Boris the Spider," which I thought was great. I remember him doing "Cell Number 7" from Mad Dog, and a few numbers from Rigor Mortis Sets In. 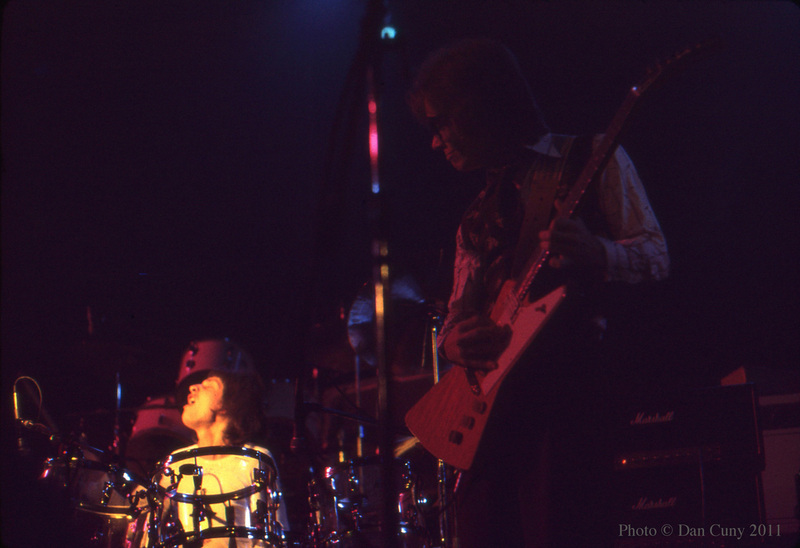 I didn't know his band mates, except for Mike Deacon who also played keyboards in Vinegar Joe, another great band. I do remember mostly watching John Entwistle play his bass like the master that he was. Since they were the second act, they just played nine or ten songs, which was enough for me to want to see more of them. 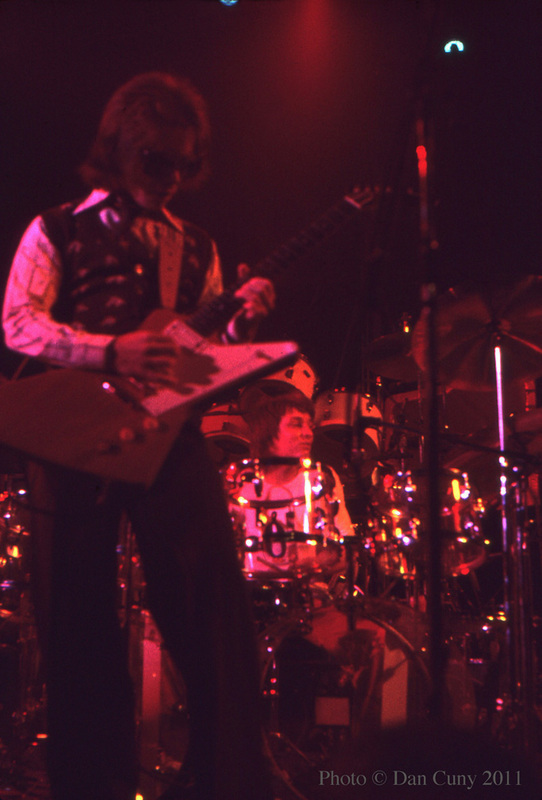 I also remember leaving after I saw them, as I wasn't a big fan of The J. Geils Band. Michael: I never saw The Who perform during their heyday in the 1970s, much to my regret (although I did finally attend one of their performances, with Zak Starkey on drums, at the Shoreline Amphitheatre in 2000), but in 1975 I figured that seeing John Entwistle at Winterland was better than nothing. (Much better, actually.) Also, I knew that seeing him at Winterland, where we could be close to the front of the stage, would afford me a chance to get a good look at him. It seemed odd to see such a major star as the middle act, supporting another headliner. Apparently John Entwistle's membership in The Who, as impressive as it was to us, was not enough to put him at the top of the bill. 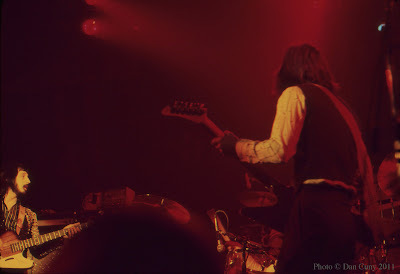 In any case, we all regarded it as a great thrill to see him perform his own songs (particularly "Boris the Spider," "My Wife," and "Heaven and Hell") with his own band. It was the closest that we had ever been to someone of his musical stature. John Entwistle was famous for standing quite still while he was performing, so it was left mostly to his guitarist, Robert Johnson (a musician who was unknown to us at the time), to provide a bit of visual interest. 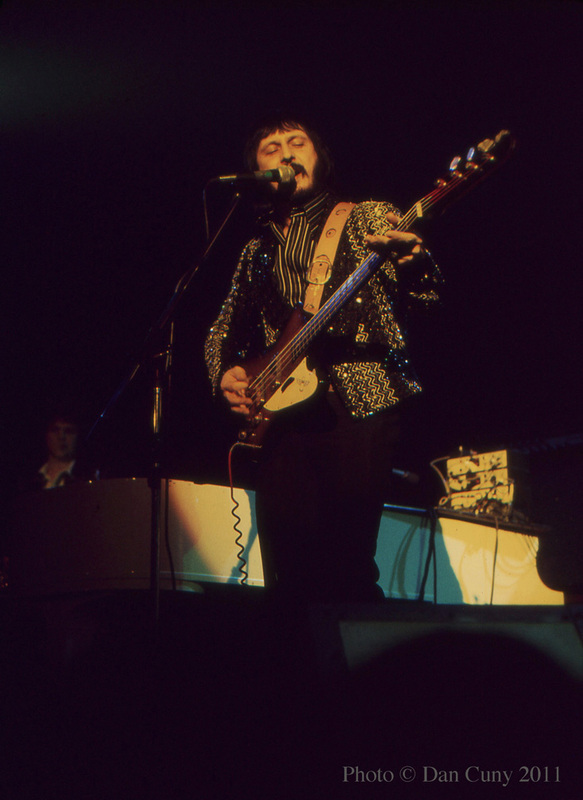 The band gave solid backing to John Entwistle and his eccentric compositions, but even without any overt actions from the impassive bassist, it was clear that he was firmly in charge of the situation. In his quiet way, he appeared to enjoy having his own time in the spotlight. 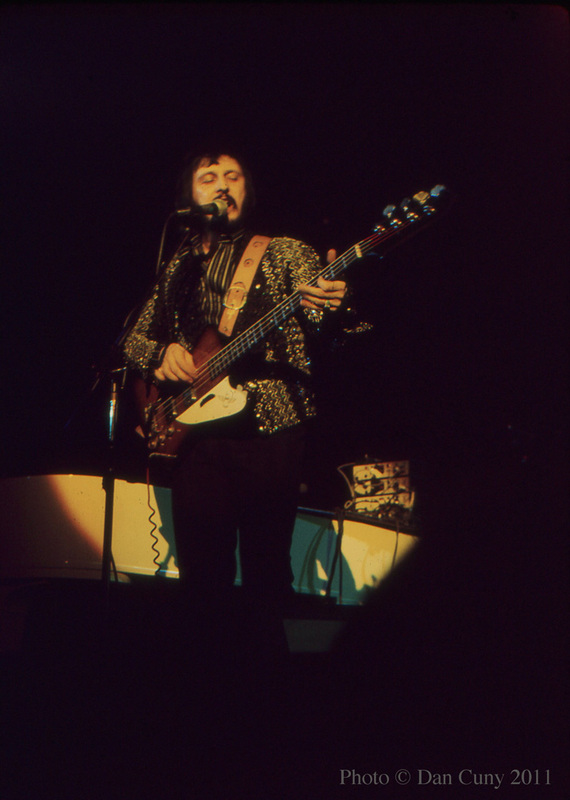 After the performance, we left the hall and ran out to the stage door, feeling extremely excited at the prospect of meeting John Entwistle. 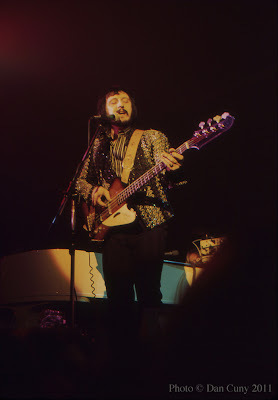 I tended to be reasonably calm when I met famous musicians in those days, but meeting John Entwistle, one of The Who, was different. I remember being in awe of him. When he came out, he was friendly and readily signed autographs. I think that, although he generally was loath to make an exhibition of himself on stage, he actually liked the experience of being treated as a star. Thanks for sharing your recollections of the Ox. 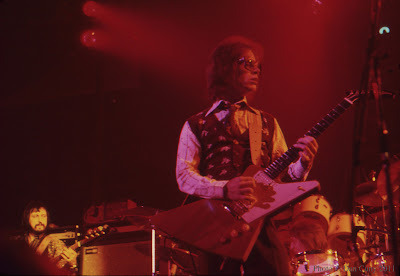 I was at that show, and it was the first time I'd ever seen a Gibson Explorer. I set about finding photos, and recreating one in my high school woodshop class. I saw this tour in 75 too, but at the Long Beach Arena in Southern California, so it was probably just before or just after the SF show. I too went to see John, not the J Geils Band (though they were fantastic). 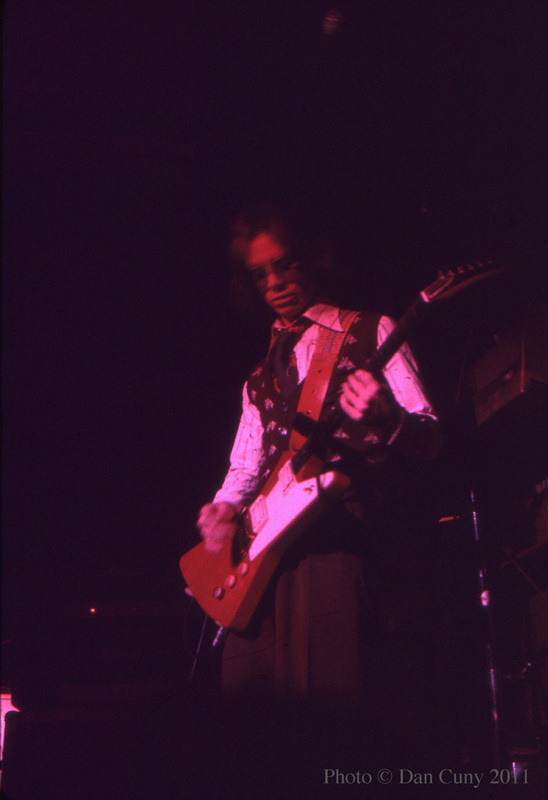 I enjoyed John's set, but there did seem to be tension between John and Robert Johnson through the whole set, Johnson seemed to take complete control of the performance which didn't look like it set well with John (at least on this night). 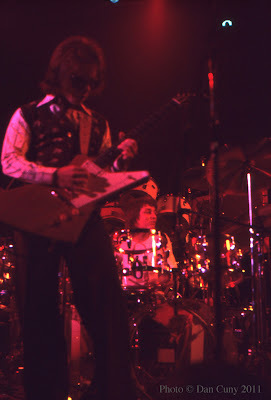 Then during the last number, Heaven and Hell, there was a problem of tempo, John was playing at one tempo and Johnson kept speeding it up, screwing up John's vocal, by the end of the song I thought John was going to take off his bass and beat Johnson to death with it! Instead he just said "good night" and stormed off stage. The Ox were great, fab drumming on the records Graham..rock on!